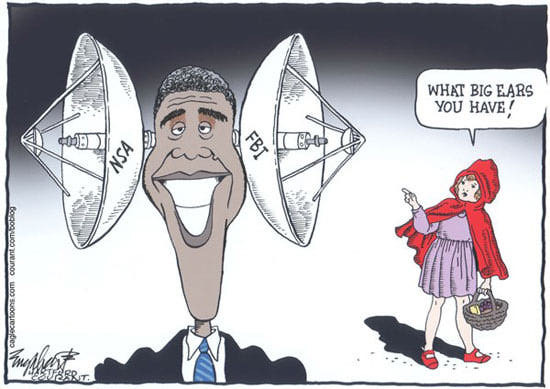 A US appeals court has ruled that NSA mass surveillance is illegal. This ruling comes as a major shock to some sections of the government who had been trying to justify the use of bulk data surveillance on the tag of national security. The lawsuit was filed by the American Civil Liberties Union against both the NSA and the FBI after the eye-opening revelations made by cyber activist and whistleblower Edward Snowden. The disclosures made public by NSA contractor Snowden included documents proving that NSA had been involved in collecting bulk phone records of Americans and the foreign nationals. This collection includes metadata of millions of phone calls with information carrying phone numbers, numbers called, time of calls made, and other similar information. While the content of conversations wasn’t stored, civil activists argue that the program is a massive infringement on citizen privacy. [Section 215] cannot bear the weight the government asks us to assign to it, and that it does not authorize the telephone metadata program. Such expansive development of government repositories of formerly private records would be an unprecedented contraction of the privacy expectations of all Americans. – Judge Gerard E. Lynch. Signed in October 2001, the Patriot Act was used by the government as a tool to combat global terrorism. The collection of metadata comes under Section 215 of the Patriot Act. Since the very beginning activists and critics have considered it as a massive intrusion in privacy. After 2013 revelations made by Snowden, the full extent of mass surveillance was known to the public that NSA and FBI were found involved in. The Section is expected to be renewed or reformed in June with this ruling possibly playing a major role in cutting the section off. For years, the government secretly spied on millions of innocent Americans based on a shockingly broad interpretation of its authority. The court rightly rejected the government’s theory that it may stockpile information on all of us in case that information proves useful in the future. Mass surveillance does not make us any safer, and it is fundamentally incompatible with the privacy necessary in a free society. As reported earlier, Republican leaders want the Section 215 to be extended; Democrats on the other hand are hoping to see it removed with President Obama wanting to give the data collection task to phone companies.